Pre-Hung – It’s a good thing. Before the pre-hung entry door came along, squaring a door, sealing a door and getting the door to stay closed was a multiple day project – even longer for the inexperienced worker. The invention of the pre-hung door made things much easier for the installer by putting most of the burdensome fitting work on the door manufacturer. When you buy a pre-hung door, you typically get the door slab (the panel most of us call the door), door sill, hinges, jambs and casings. The door slab is fit square inside the door frame/jambs and hung on the hinges. Here is a great illustration I found on the web showing an interior door pre-hung and an exterior door pre-hang. When ordering a pre-hung door, you will be asked either how the door swings or what is the hand. 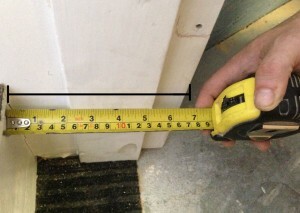 This information ensures that the hinges are on the correct side of the jamb and the door opens the way you want it to. I’ve discussed this in an earlier blog, but am repeating it here because it goes hand in hand with the pre-hanging. Swing. This refers to how the door opens. An exterior door swing is determined by standing outside and facing the building. If the door swings toward you, it’s an outside swing. If it swings into the building, it’s an inside swing. Hand is where the hinges are on the door. 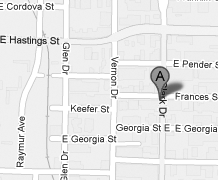 Walking through the door with the door swinging away from you, you identify where the hinge is located. 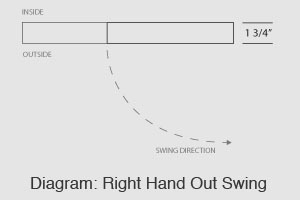 If the hinge is on your right, it is a right hand swing. If it is on your left, it is a left hand swing. The best way to avoid any confusion is to draw a diagram showing the inside/outside and the way the door swings. This clearly tells the swing direction and hand and no one is confused. 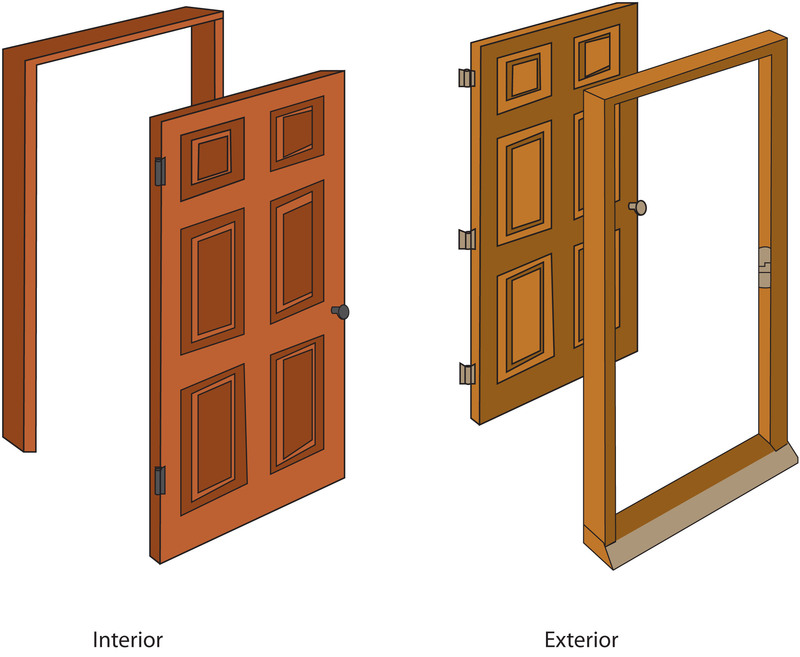 I’ve have known people who have been working with door installations for decades and without a diagram they are still confused. “Easy” Installation. Since a pre-hung door is already “square,” it should be easy to install, right? Not always. Installing a front entry door in your home can be a chore for even the most experienced remodeler. This is not a two hour job. Although a pre-hung door slab is square within its frame, the frame must be installed within your home’s rough opening. The door trimmers and headers that make up the rough opening will not be perfectly square, no matter how skilled the builder is. So, there is significant work required to check gaps, trim parts and add shims to make sure the pre-hung door kit is installed level and square. When you order your pre-hung door, the price includes the hinges and drilling for a standard lockset. If you already have a finished opening and it is in good condition, you do not require a pre-hung door. You can arrange to have your door pre-drilled by providing a template for your hinges and lockset but you may want to hire a contractor to install your door and have him do the notching for hinges and drilling for your lockset to ensure a perfect fit. If you decide you want your new door pre-hung, you will need to determine your jamb width so it will fit properly in the opening. Jambs typically come in 4 9/16 (4 x 4 constuction) or 6 9/16 (6 x 6 construction). We can accommodate any size jamb as all of our jambs are built to spec. Your final decision in your pre-hung door is the finish. Do you want it to be primed for painting to match your other trim or do you want to stain it. Hopefully this clarifies the whole pre-hang question, but if you still have questions, give Logan a call and he can help you out.